Competing in the FRC 2017 Steamworks competition, this robot had to: shoot balls, pickup and place gears, and climb a rope. During autonomous, we either placed gears, or shot into the boiler. 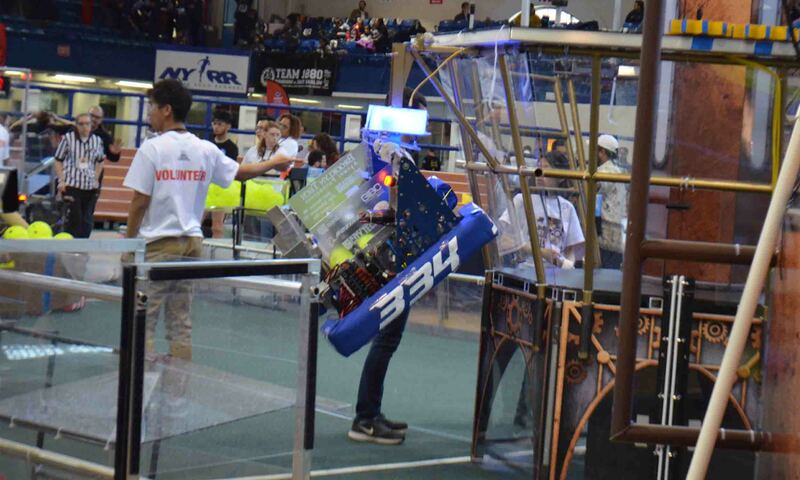 With our efforts, the robot competed in the New York City semifinals.